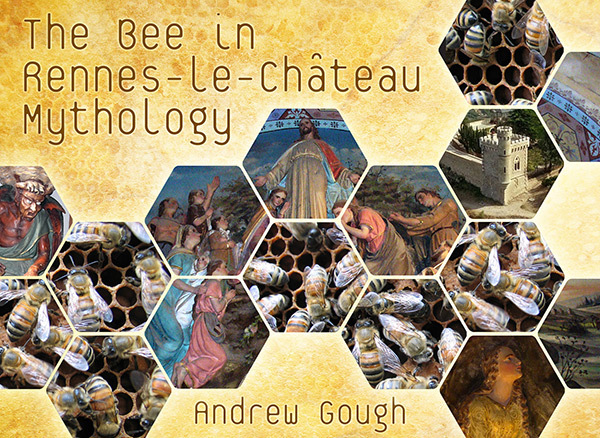 Andrew reprises and updates an article written for the Rennes Group some years ago, with his latest research into the symbolism of the bee in the mystery of Rennes-le-Château. The study of Rennes-le-Château, the mystery of a French priest alleged to have discovered a heretical secret in the late nineteenth century, incorporates an exhaustive list of subplots and disciplines, including (but not limited to) sacred geometry, art history, Vatican secrets, complex codes, Mary Magdalene and Jesus Christ, the Holy Grail, royal families, lost lineages, Knights Templar, Cathars, Visigoths, the treasure of Solomon and the Priory of Sion, to name a few. But there is another, lesser-known facet to the story: the honey bee. The twenty-first century has seen a revival of interest in bees, due, sadly, to their apparent demise and the impact that this potential catastrophe might have on the world economy. Quite simply, the loss of Earth’s most industrious pollinator of plants and trees, and producers of medicinal and health food products, such as honey, would result in an unprecedented economic disaster, as evidenced by the fact that every third spoonful of food we put in our mouth has been made possible by bees. Prehistory is full of clues that hint at ancient man’s fascination with bees, and so is the mystery of Rennes-le-Château. 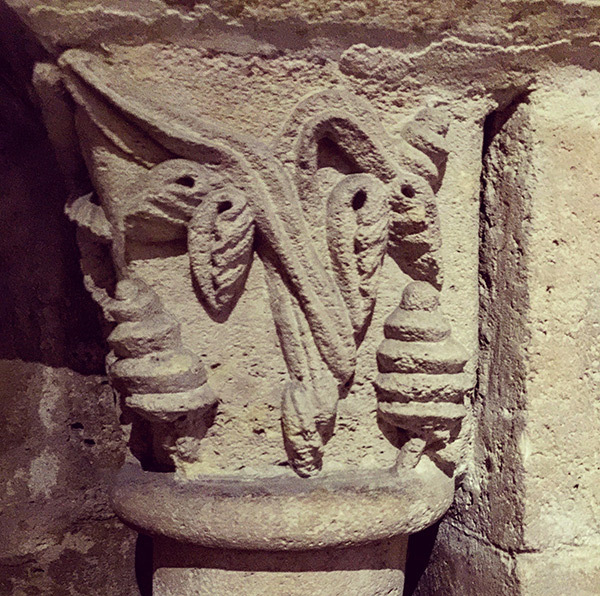 However, to appreciate them we must first turn our attention to the genesis of bee adoration, back in the age when temples of Venus graced the Aude valley, not churches dedicated to Mary Magdalene. In the Cave of the Spider, near Valencia, Spain, an estimated twelve-thousand-year-old painting depicts a determined-looking figure risking his life to extract honey from a precarious cliff-side beehive. Honey hunting represents one of man’s earliest hunter/gatherer pursuits – its very difficulty hinting at the genesis of the bee’s adoration in prehistory. And, of course, it was the bee that led ancient shamans to the plants whose hallucinogens transported their consciousness into the spirit world of the gods. Curiously, recent research has revealed that the sound of a bee’s hum has been observed during moments of state changes in consciousness, including individuals who have experienced alleged UFO abductions, apparitions and near-death experiences. Was this phenomenon known by the ancients and believed to have been one of the elements that made the bee special? In Anatolia, a ten-thousand-year-old statue of the Mother Goddess adorned in a yellow and orange beehive-style tiara has led scholars to conclude that the Mother Goddess evolved into the Queen Bee around this time. At the Neolithic settlement of Çatal Höyük rudimentary images of bees dating to 6540 BCE form a circle above the head of a goddess figure, creating the first ever ‘halo’, while beehive-inspired designs are stylistically portrayed on the walls of its most sacred temples. Not surprisingly, it was the Sumerians who soon emerged as the forefathers of organised beekeeping, known as apiculture, and invented apitherapy, or the medical use of bee products such as honey, pollen, royal jelly and venom. Sumerian reliefs depicting the adoration of extraordinary winged figures have often been interpreted by alternative-history writers as proof of extraterrestrial intervention. However, in the context of beekeeping, it appears that they simply portray the veneration of bees. Significantly, the images gave rise to the dancing-goddess motif, a female dancer with her arms arched over her head that scholars identify as a bee goddess; a type of shamanic priestess. 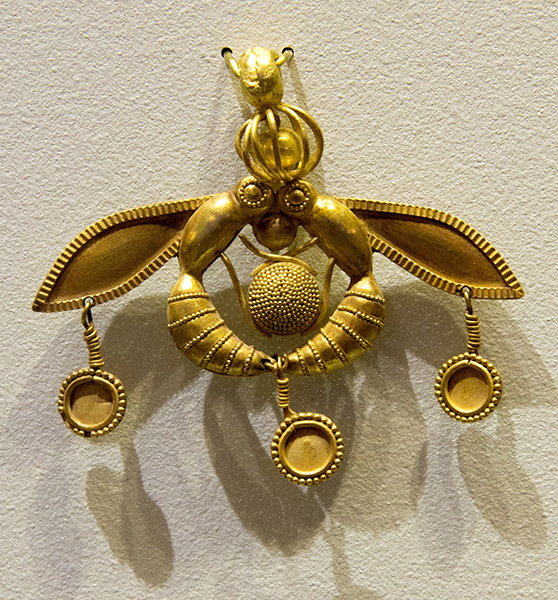 The motif, which would become central to Egyptian symbolism, appears to allude to the bee’s unique ability to communicate through dance, the waggle dance, as it is known, or the ability to locate food up to three miles from the hive and communicate its whereabouts through dance, a sort of prehistoric satellite navigation. The adoption of bee symbolism in Egyptian society developed rapidly and by the start of the First Dynasty, Egypt was known as the ‘Land of the Bee’, and the Pharaoh carried the title ‘Beekeeper’, with a bee prominently displayed in his cartouche. Additionally, Egyptians used honey as an offering to the gods in the afterlife, as well as in the mummification process. In fact, the gold and black horizontal stripes on the death mask of Tutankhamen, and other Egyptian regalia, reference the bee’s similarly striped body. Clearly, the seed of bee veneration that was sown by the Sumerians had been harvested by the Egyptians. Minoan and Greek mythology soon followed and adopted the sacred bee as a vital element of their societies, depicting bees on the statues of their most important gods and goddesses. They also developed the coveted position of female bee shamans, called Melissas, which later evolved into priestesses known as Sybils. On the other side of the globe Mayan culture venerated the bee and depicted gods in its image in their most sacred temples, and bee-hut styled structures sprang up from Africa to Ireland, Turkey to the United Arab Emirates and beyond. The early Catholic Church adopted the bee as a symbol of the Pope’s authority, evidence of which can be seen in Vatican City in the beehive-inspired papal headdress of past popes. Political movements, such as Communism, drew upon the altruistic, drone-like, ‘proletariat’ behaviour exhibited in beehives as a blueprint for their ideologies. An example of the bee’s appreciation by those formulating and influencing the politics of the day is the Order of the Illuminati, a ‘secret’ society founded by the German philosopher Johann Adam Weishaupt on 1 May 1776 (Labor Day in modern times), the day of the worker, or drone. Amazingly, Weishaupt had considered naming his order ‘Bees’ – not ‘Order of the Illuminati’. Not surprisingly, the bee was also an important symbol in Freemasonry, and was depicted in many Masonic drawings of the eighteenth and nineteenth centuries. At the heart of the Masonic tradition is the concept of industry and stability. The theme stems from the stable, regular and orderly society that is observed in a beehive. 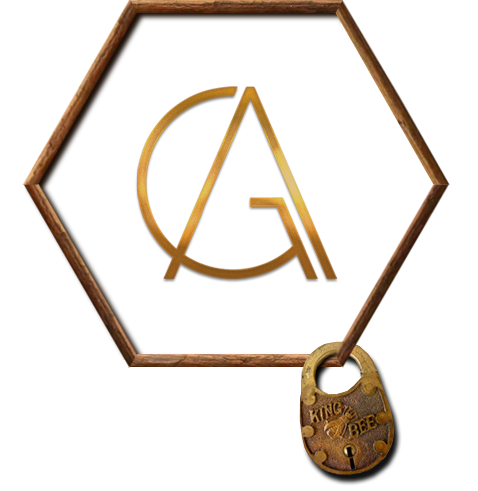 In Freemasonry the beehive represents all that is proper in society, and could arguably be regarded as its most important symbol. Our abridged history of bee adoration slowly moves into the realm of Rennes-le-Château with Napoleon Bonaparte, the military and political leader of France, who in the early nineteenth century revived his country’s fascination with bees. The bee was a hugely important icon of Napoleon’s reign and his obsession with its symbolism gave rise to his nickname, the Bee. Napoleon would have grown up with the symbolism of the bee engrained in his psyche, for his homeland of Corsica was required to pay the Romans an annual tax equivalent to £200,000 in beeswax. The young emperor ensured that the bee was widely adopted in his court, as well as on clothing, draperies, carpets and furniture all across France. By choosing the bee as the emblem of his reign, Napoleon was paying homage to Childeric (436 – 481), one of the ‘long-haired’ Merovingian kings of the region known as Gaul. When Childeric’s tomb was uncovered in 1653, it was found to contain three hundred golden jewels, styled in the image of a bee. And, of course, these are the same bees that Napoleon had affixed to his coronation robe. Sadly, of the three hundred bees only two have survived. Childeric’s hoard was entrusted to Leopold Wilhelm von Habsburg, a military governor of the Austrian Netherlands who was believed to have been a descendent of the Merovingian dynasty. Six years after his coronation Napoleon married Marie-Louise, the daughter of Francis II, the last Habsburg to sit on the throne of the Holy Roman Empire. Napoleon’s choice of the bee as the national emblem of his imperial rule spoke volumes about his desire to be associated with the Carolingians and Merovingians, the early French kings whose funeral furniture featured bee and cicada symbolism as a metaphor for resurrection and immortality. The bee was also a vital symbol of French industry and one of the most prominent emblems of the French Revolution (1789–1799). The French Revolution resulted in the pillage of the Basilica of Saint Denis, just north of Paris. 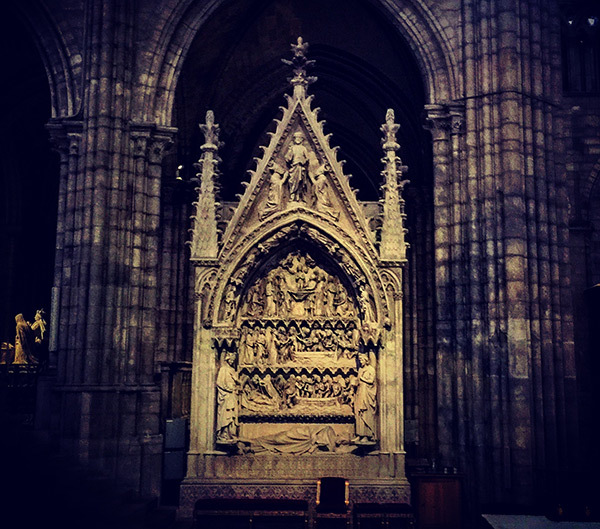 The remarkable edifice serves as the memorial to the Kings and Queens of old France and includes the tombs of two of the most famous Merovingian Kings, Dagobert I and his son, Clovis II. Irrespective of whether their tombs still contain authentic bodies, they remain an evocative memorial to a fascinating lineage, one that appeared to honour the honey bee. 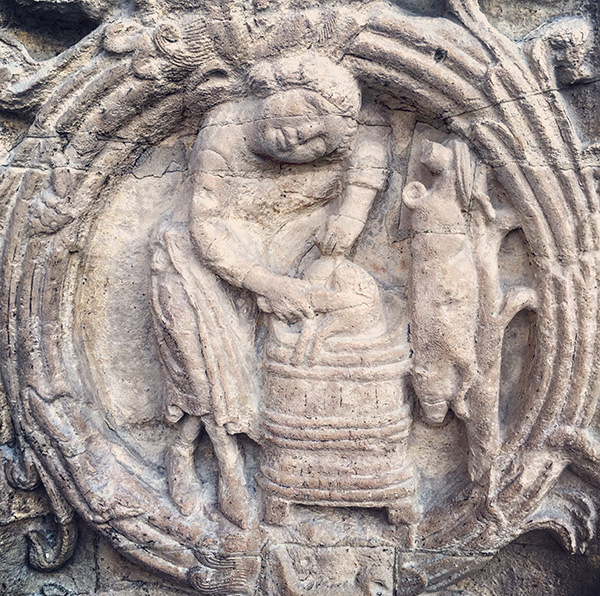 On a recent trip to Saint Denis I was immediately taken by an image on the entrance door of the Basilica that appeared to portray beekeeping. 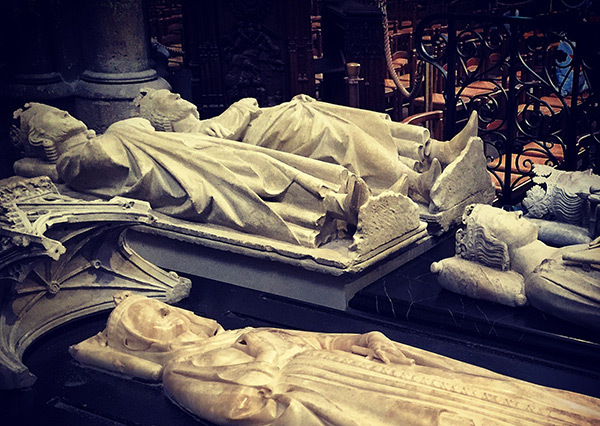 Later, as I entered the royal crypt of the Kings and Queens of old France, I was again intrigued by an image that seemed to portray beehives. I asked a local tour guide if they knew what the images depicted, and they confessed to never having ‘thought about it’. The guide did add that bees are kept on the roof of the Basilica and, sure enough, I later purchased some of their honey. Across Europe more than sixty cities selected an officially approved heraldry shield that included bees as part of its template. Remarkably, the bee was the precursor to the fleur-de-lys, the national emblem of France. This theory is supported by many, including the French physician, antiquary and archaeologist Jean-Jacques Chifflet. In fact, Louis XII, the thirty-fifth king of France, was known as the ‘father of the Pope’ and featured a beehive in his Coat of Arms. Disappointingly, his efforts to have the bee adopted as the Republic’s official emblem were rejected by the National Convention due to their belief that ‘bees have queens’. Nevertheless, the bee remained a prominent element of French culture throughout the First and Second Empire (1804 to 1814, and 1852 to 1870) due to the enthusiastic patronage it had previously received. Robert Lawlor studied the design of the bee and fleur-de-lys in his book, Sacred Geometry, and concluded that the 1:√proportion of the design is also found in the Islamic Mosque. Intriguingly, the mystical dimension of Islam known as Sufism maintained a secret brotherhood called Sarmoung, or Sarman, meaning bee. Members of the organisation viewed their role as collecting the precious ‘honey’ of wisdom and preserving it for future generations. This fascination with bees and preserving wisdom for further generations, is precisely what connects us to Rennes-le-Château, the unassuming but sombre hill-top hamlet in the shadow of the French Pyrenees. Here, at the turn of the twentieth century, a group of priests (most famously, Berenger Saunière) aroused suspicion with their curious behaviour and apparent wealth, leading many to speculate that they had discovered a heretical secret, possibly involving Mary Magdalene, Jesus Christ, the treasure of Solomon, hoards of the Visigoths, or valuables hidden during the French Revolution. In reality, what they found, if anything, remains a mystery. Most believe that the story was an elaborate hoax, perpetrated by a nucleus of Frenchmen who relished the opportunity to orchestrate a fanciful tale and weave a very long con. Nevertheless, the legend of Rennes-le-Château has struck a chord with modern-day audiences. Its roots stem from the Merovingian kings so revered by Napoleon, and its origins, ingrained in the psyche of so many of us, go like this: Childeric I fathered Clovis I, who succeeded his father in 481 as king of the region that now borders Belgium and France, and, in the process, became the first ruler to unite the previously hostile and independent Frankish tribes. A line of descendants leads to Dagobert I, King of the Franks from 629–634, who fathered Clovis II and Sigebert III, who fathered Dagobert II, who married Giselle de Razès, the daughter of the Count of Razès and the niece of the king of the Visigoths. The two were said to have married at Rhedae, a stronghold widely believed to be Rennes-le-Château, although the association remains unconfirmed. Years later, in AD 754, Childeric III died childless, marking the end of a dynasty that had been in decline since Dagobert II was assassinated near Stenay-sur-Meuse on 23 December AD 679. Many believe that the Dalle des Chevaliers (or Knights’ Stone, as it is known today) recalls a portion of this history. The stone, which is preserved in the Rennes-le-Château museum, portrays two scenes, each consistent with the Carolingian style of the eighth century. The popular interpretation is that the primary scene depicts baby Sigebert being carried by a horseman to his mother in Rennes-le-Château, while some speculate that the Knight is carrying the Holy Grail. Curiously, Wolfram von Eschenbach, who only wrote history, never fiction, compiled the first complete Grail romance, Parzival, and in his account we are told that the Grail is a stone from heaven. This is interesting, given that the word ‘meteorite’ carries the same numeric value (443) in the Cabala as ‘Bethel’, which translates as ‘bee’ in Egyptian, and many believe the Grail to be an oracle stone that fell from the heavens in antiquity, most likely in Egypt. The belief that the Merovingians were special, and that they represented a royal bloodline, led Napoleon to commission an extensive analysis of their lineage. 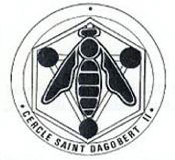 Fascination with the mysterious line of kings continued into the twentieth century, when a Frenchman by the name of Louis Vazart founded an organisation based in Stenay-sur-Meuse called ‘Cercle Saint Dagobert II’, which specialised in the study of the Merovingians, and Dagobert II in particular. For its logo Vazart chose an image of a bee inside a hexagon, echoing the bee’s hexagonal honeycomb wax cell, surrounded by a circle. Vazart’s selection of the bee is consistent with his research, for France itself is known as l’Hexagone, due to its natural six-sided shape. 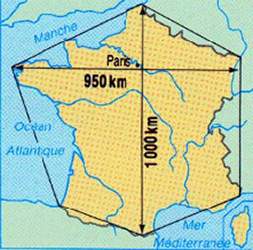 Coincidentally, the centre line of l’Hexagone closely mirrors the old Paris meridian, passing near Paris in the north and Rennes-le-Château in the south. The Paris meridian (an imaginary arc that measures the hours of the day) was later replaced by London’s Greenwich meridian as the international standard for time keeping. However, in recent years, the Paris meridian has been romanticised and somewhat merged with the notion of the Rose Line, a mythical sort of ley line connecting esoterically significant sites from Rosslyn Chapel in Scotland to the church of Saint Sulpice in Paris, and on to Rennes-le-Château in the south of France. Despite its questionable authenticity, it is worth mentioning that the two sites that top and tail the Rose Line (Rosslyn Chapel and Rennes-le-Château) each feature bee symbolism, and in peculiar ways. 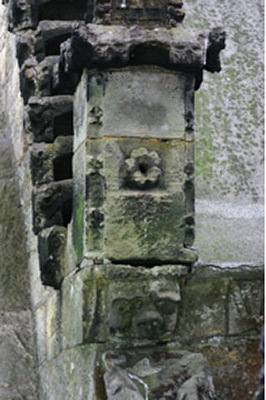 Before delving further into Rosslyn Chapel, it is worth mentioning that in a similar vein to the l’Hexagone symbolism, Philippe de Chérisey, a friend of Plantard who founded a magazine called Circuit (whose distribution was said to include the membership of the Priory of Sion), featured a hexagon imprinted over an image of France with a sword symbolically piercing its centre, echoing the old Paris meridian. 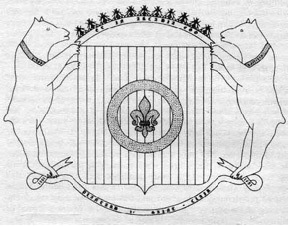 There is little doubt that de Chérisey was the creative mastermind behind the modern-day hoax of the Priory of Sion, and I have written about this in considerable detail in my article, Saint Sulpice and the Symbolism of the Priory of Sion. Rosslyn Chapel was founded by William Sinclair, 1st Earl of Caithness, in the fifteenth century and is renowned for what many believe to be an elaborate display of Masonic symbolism. In fact, some believe that the Chapel contains treasures of the Knights Templar, or even the Holy Grail itself. 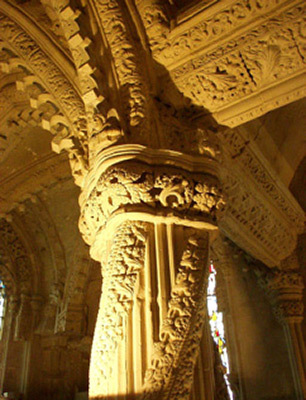 Hyperbole aside, Rosslyn Chapel does, in fact, contain a splendidly carved column known as the Apprentice Pillar (or Prince’s Pillar, as it was called in ancient accounts). The pillar, which stands to the right of the altar, is adorned with what is generally regarded as Tree of Life symbolism; two dragons of Yggdrasil (the World Tree, according to Norse mythology) reside at its base, and a masonry vine spirals vertically around the column, drawing our attention to the ceiling. Recent theories put forth by Alan Butler and John Ritchie in their book, Rosslyn Revealed: A Library in Stone, suggest that the ceiling above the Prince’s Pillar represents ‘paradise’ on Earth. And on the roof of the Chapel we find a curious stone beehive with a stone flower-petal entrance that was inhabited by bees for as long as anyone can remember. Sadly, the bees were removed in the 1990s and have not returned. However, the existence of the beehive in the proximity of the vine recalls a biblical account of a staff that grows into a great tree with ‘a vine twisted around it and honey coming from above.’ Might the design of the roof, ceiling and Prince’s Pillar, reflect the role of bees and honey in the greater context of paradise and the World Tree of Life? Curiously, the association of the Tree of Life with hexagonal beehive symbolism is not unique. 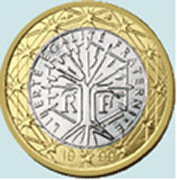 In fact, it is featured on the French Euro coin, reinforcing the importance of the symbolism to this day. 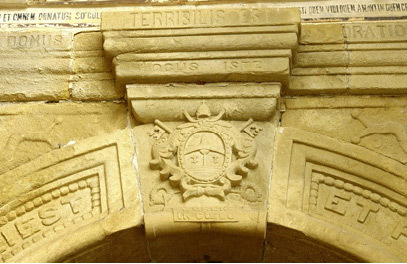 From Rosslyn Chapel in the north, the mythical Rose Line reunites with Rennes-le-Château in the south, the village with alleged Merovingian connections. Although history informs us that the Merovingian dynasty died out with Dagobert II, this has not prevented others from claiming descent, such as Pierre Plantard, a Frenchman who in the twentieth century promoted his association with the Merovingians, as well as Rennes-le-Château, and was regarded by some as the last direct descendant of Jesus Christ. Plantard also claimed to have been a Grand Master of the Priory of Sion, a controversial society with considerable interests in the Merovingian lineages commissioned by Napoleon. Curiously, Plantard’s family crest featured both the fleur-de-lys and eleven bees. Rennes-le-Château is linked with bees in curious ways; some complex, others just peculiar, such as the experience of Christopher Dawes, author of the Rennes-le-Château adventure yarn, Rat Scabies and the Holy Grail, who inexplicably encountered dead bees while conducting his research. 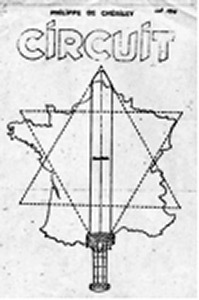 Another is found in Key to the Sacred Pattern by Henry Lincoln, co-author of the 1982 book, The Holy Blood and the Holy Grail, the international bestseller that put Rennes-le-Château on the map with English-speaking audiences around the world. Here, Lincoln draws our attention to a series of beehive-like huts called capitelles found near the village of Coustaussa (site of a macabre assignation of the priest, Abbé Gélis, a friend of Saunière who appears to have become dangerously entwined in the mystery). The huts, which are largely unexcavated, are part of what is known locally as the Great Camp. 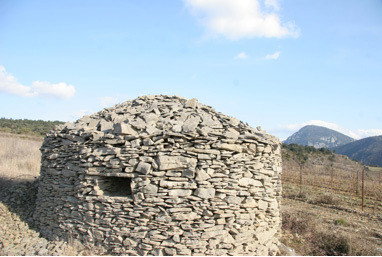 The beehive-like structures mirror others across the globe and are one of the few artefacts that lend credence to the belief that Rennes-le-Château may have been the ancient Visigoth settlement of Rhedae. So, Jacob recounted that the place was called Bethel and had a stone erected commemorating the spot where he had fallen asleep. 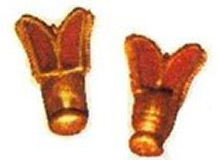 The biblical story relates to the bee, in that Bethel (or Bytal in Hebrew) means ‘House of God’, and the letter ‘Y’ and the letter ‘I’ are interchangeable, rendering the translation ‘Bit-al’ – ‘Bit’ in ancient Egyptian means bee. The translation also suggests that ‘House of God’ may represent a repository of knowledge – as in the beehive. Additionally, Bethel carries the same numeric value as ‘meteorite’, which harks back to the notion that bees are related to sacred stones from heaven. 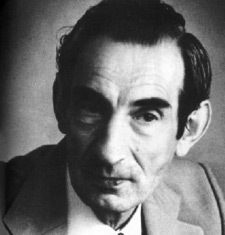 After reviewing several rather obtuse links between bees and Rennes-le-Château, there is another association that stands apart from the rest in its implications, and it involves Henry Lincoln and the french author Gerard de Sède, whose 1967 book, The Accursed Treasure of Rennes-le-Château, first catapulted the mystery to prominence in France. The story goes that Lincoln purchased de Sède’s book while on holiday in France and succeeded in deciphering one of its peculiar parchments, giving spark to the flame that still burns today: what, if anything, do the coded parchments conceal? Lincoln later came across a ‘Book Club’ version with a strange photograph of bees not referenced in the text. Incongruously, the title beneath the photo simply stated, ‘Rennes-les-Bains – Thermes Romains’, and no other reference to the photograph was made. The anomaly is recounted in Lincoln’s 1998 book, Key to the Sacred Pattern. 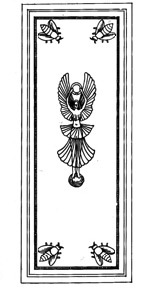 Essentially, the photo apparently depicts a wooden panel from a dining-room door with four bees, one in each corner, and, in the middle, a winged female standing on a globe, holding a wreath above her head like an Egyptian dancing goddess – a motif we now understand to represent bee goddesses, Melissas and Sybils. Later, de Sède provided Lincoln with material for his BBC television special about Rennes-le-Château, including photos taken by Plantard that de Sède had used in his book. In Key to the Sacred Pattern Lincoln recounts how the back of the photos was stamped with a seal saying ‘PLANTARD’, along with an explanation of how the woman in the centre of the photograph was Europa, the legendary priestess who was seduced by Zeus, while he was in the form of a bull (Apis, the most sacred bull in antiquity, is Latin for ‘bee’), and that the accompanying images of bees represented apiculture. Serendipitously, as an infant Zeus, who would grow up and assume the title of ‘Bee-man’, was fed honey by nymphs on Crete, an island whose capitol, Knossos, I have previously identified as a honey factory; and Crete, of course, is where Icarus falls to earth after his beeswax wings melt when he flies to close the sun. Fair enough, but what is most intriguing is that the notation on the back of the photographs is said to have included the phrase, ‘We are the Beekeepers’, a detail not revealed by Lincoln in his book. The expression recalls the ‘Beekeeper’ title held by Egyptian pharaohs and begs the question, was Plantard inferring that he was a Beekeeper – and, if so, of what – the Priory of Sion? Pierre Plantard; a beekeeper – but of what – the Priory of Sion? Clearly, ancient societies, including (if not especially) the kings and thought-leaders of France and the forefathers of the Rennes-le-Château mystery, believed that bee symbolism was quite important. They may have even considered themselves beekeepers, but of what exactly remains to be determined. Not surprisingly, the existence of the sacred bee has all but faded from memory; the question remains, however, is that what the beekeepers intended?